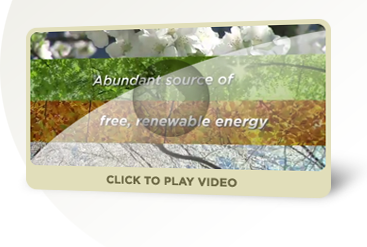 We would like to welcome you to Shelton Air's Charlottesville geothermal resource center. We're proud to be one of the finest providers of WaterFurnace geothermal products for the Charlottesville area. Whether you need routine maintenance, equipment repair, or an entire comfort system - Shelton Air has the qualifications and skills you need. Let us build you a solution that uses the clean, renewable energy in your backyard to give you savings up to 70% on heating, cooling and hot water. In today’s industry, WaterFurnace has set a benchmark in which it mass produces and sells more geothermal systems for homes than anyone else. Why? Their renown has been put through the fire and built on an undying commitment to the best standards, innovation, and devotion to ensuring the best customer support available. With training that is second to none, WaterFurnace dealers and installers take pride in being the top in the industry. 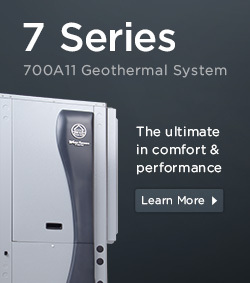 It is these defining factors that continue to make WaterFurnace the first - and smartest - choice when it comes to choosing a residential geothermal system. So don't be left behind, be the first in your neighborhood to select a system that's "Smarter from the Ground Up." To learn more about our full line of geothermal products for the Charlottesville area, contact Shelton Air today. Heating and cooling has never been more energy efficient than it is today. Charlottesville turns to Shelton Air for geothermal solutions to help lower their utility bills. Shelton Air has provided Charlottesville geothermal heating and cooling solutions for many years. We proudly offer Charlottesville WaterFurnace geothermal systems and stand behind our quality work and products. Call us at Shelton Air today. We are ready to bring you into the WaterFurnace Charlottesville geothermal family.